First we have to wait for the Sufyani to appear. Then after this war will take place. Sufyani will rule over Syria and he will attack Iraq. When his forces enter Iraq they will kill 100,000 people. Also, there will be a big war in the Euphrates. This is when the river dries and displays a mountain of gold. 99% of people who go after it will die. Until these signs don’t appear we won’t have an ijma (consensus) on the Mahdi’s coming. Everything has already happened more than a decade before 9/11, perhaps. Hmmm. Why would America support a Muslim army, when America is currently waging a War against Islam? Or is it that America will become Darul Islam before the advent of Imam Mahdi(A.S)? America is not considered to be part of “Israel” (see my post on Anglo-Israelism and its definition). By definition, “Israel” and “Israelites” must always have the throne of King David ruling over them (see, I Chron. 17: 12; II Sam. 7: 13). Since the Thirteen Colonies in 1776 declared their independence and formed the United States of America, they lost their loyalty to the British monarch and no longer had a monarchy to rule over them. The fist country to accept America as an independent and free country was the Kingdom of Morocco in 1777. 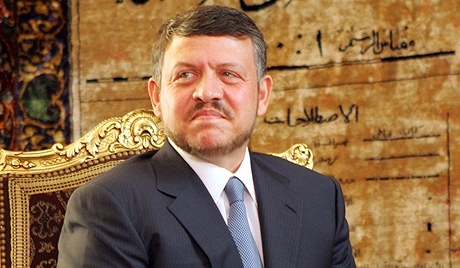 According to Shaykh Nazim, the first Minister for the Mahdi when he appears will be the King of Morocco, who is from the Ahlul Bayt [http://www.youtube.com/watch?v=zcrc58lTWAQ]. Only the nations of the ‘British crown’ are Israelites, including Canada, Australia and New Zealand. Her Majesty the Queen is the head of the House of David, and the monarch of the twelve tribes of the Israelites, which include the tribe of Judah, whose independent state is found today in the Middle East, called the “Jewish” state of Israel. Jewish in the context of the State of Israel in the Middle East is referring to the tribe of Judah, not the religion of Judaism. In the highest levels of political and economic power, Western democracies advocate the belief that “white” people of Western European descent, particularly those in Great Britain, are the direct lineal descendants of the Ten Lost Tribes of Israel, including the French through the doctrine of Franco-Israelism, and Denmark, who believe their nation descend from the tribe of Dan, from the twelve tribes. Shaykh Nazim said that America will support muslims against Banu Asfar (Russians) before the public appearance of Mahdi (as). But the text of his words do not indicate that America will still help, as a democratic state, the Army of Mahdi (as) after his public appearance and after the coming of Dajjal against Dajjal. He does not indicate also that there will still be democracy in America after the coming of Dajjal. He opposes democracy as a political form of government for muslims and non muslims alike, and he said that he expects that in the times of Mahdi (as) even America will have a king. @ Nureddin: That’s nice to hear, but he did not add all of that here, rather all he said this time was, “a Muslim army will come, and America will support them, American forces will join them”. Mawlana is saying the Mahdi might appear within the next month or so, and personally told me that he is expecting him to appear “any day now”. In regards to the debate on democracy, the early generation retained two notions for political appointment after the Prophet (S) passed, the first being consultation, as a result of which the first Caliph was elected, and the second being hereditary continuation of religious and secular authority, i.e., the early doctrine of Imamate. Those who hold fast to this doctrine and its proliferation are both Sunni and Shi’ite, since the doctrine of Imamate is a political/spiritual belief and doctrine, and not limited to any particular school of Islamic jurisprudence, or the concept of madhabism. 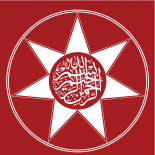 In the consultation group, the core doctrine which prevented the Ansar from assuming secular and religious power was the doctrine of the Divine Right of the Quraysh in general. The later group held on to a more specific definition of this same doctrine regarding the Quraysh. As for election of a Caliph, it is not what it is in democracy, as just some notables participated, and never intending to remain as the ‘will of peoples’ that gives basis to power, as the basis of power of the head is never the feet, as Maulana explains, but Allah. In the same way a shura is not a parliament, nor democracy, as Shaykh Maulana expressed recently. “For 15 centuries Islam was linked with monarchies. Nowadays it is a new fashion to support democracy, even though there is no such thing within Islam. Democracy gives a chance to every badness. Islam will never accept to give an opportunity for evil to occur. There is no link between democracy and Islam. When the monarchy left the Ottoman Empire people quickly got a secular system. This shows that Islam cannot function without the monarchy. In 1924 the monarchy left Turkey and so did Islam. Democracy gives a chance to wolves and protects them within the community. What kind of justice is that? Once upon a time the English people even killed their king, and now they leave dragons to live freely amongst people acting in the worst way. Where is this leading to? Why did they hang their king at the time? What does it mean that so many dragons, snakes and scorpions are able to live within the community? Why are they given a chance? Is that freedom? In Islam we say that every creature which is harmful must be killed! Only a monarchy can do that. Justice needs to react on a daily basis. Within this system prisoners are being questioned for months before anything happens. When something happens in a monarchy, people will have their head cut off in front of others. There are wild wolves in the city which run around every night, and harm people. Still the government tells us not to touch them. Is that justice? This is why we hope that after Her Majesty His Highness Prince Charles will come with full power and restore the monarchy fully. In the same way the Germans will get their Kaiser back, the Ottoman Sultan is coming, the Libyan is coming, the Egyptian is coming, the Yemenite is coming, the Iranian is coming, the Iraqi is coming, the Syrian is coming, the Russian is coming, the Afghani is coming, the Algerian is coming, the French is coming, the Chinese is coming, the Indian is coming. Even America will have a king, they will be under the rule of His Royal Highness Prince Charles. Insha’Allah”. Wa alaikum as salam. FBIHere is what i wrote: “That’s nice to hear, but he did not add all of that here, rather all he said this time was, “a Muslim army will come, and America will support them, American forces will join them”. I read all of that sohbet regarding the King of the USA a long time ago. Please leave me alone and may Allah forgive you and guide you. Thanks. Syaikh Ahmed, could you explain the chronology of the war of Armageddon based on prophecies of Masyaikh Naqshbandi/other Awliya? Because I’m still confused.. I was informed, and said on record, once we have launched that particular project, the governments in the Middle East who are not monarchies will fall, one after another. In less then a year, the Arab spring started. We live in a world wherein we attract both justice, and injustice, with our thoughts, words, and intentions. These persons will attract the emergence of the Mahdi by their love for him will be in majority. Read the Suhbahs on this blog, they will attune you even more. is Prince Charles gonna be good guy or bad guy? It is really up to him, since there is no compulsion in faith. If he is just, his family benefits. If he is unjust, he is responsible. This entry was posted on November 22, 2011 by ASFC in Politics and tagged America, Americans, Armageddon, Imam Mahdi, islam, Mahdi, Mawlana Shaykh Nazim.